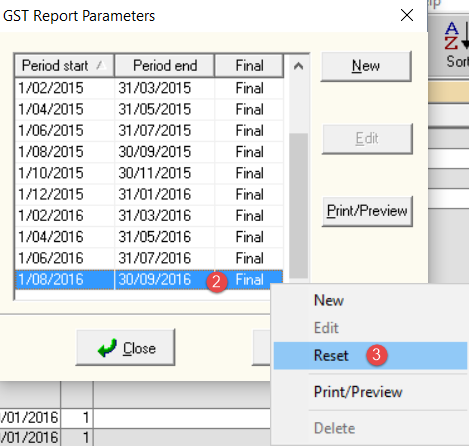 If you have finalised your GST report in Cashmanager RURAL and subsequently find that you need to edit any transactions before you have filed your return with IRD, you can reset the GST Report at any time to make your corrections. Click on Reports > GST . Right click on the GST Report you need to adjust. The report will revert back to a Draft for you to make any corrections.